There really was something there for everyone at Star Wars Celebration V. For those that count themselves among the crafty or simply have an unbridled enthusiasm for glitter and/or googly eyes, master crafter Bonnie Burton offered a panel on the art of crafting. The panel was a great combination of fan-driven and Bonnie-made. From sack puppets to Jabba the Hutt body pillows; we saw an interesting amalgam of crafts from the complicated to the simple. Bonnie provided great details on the ins and outs of crafting. As the panel progressed, a common theme was "don't blow your budget." Bonnie stressed the usefulness of reusable items and supplies like toilet paper rolls, baby food jars, and old action figures as a cost effective means of crafting. Creativity in using what's available, rather than in searching out specialty items, is part of the fun. Children?s' crafts also featured prominently as something that was educational, but also a great way to spend time with your family. Bonnie did describe some of her biggest challenges in regards to crafting, but more importantly she advised a caveat of "there will be mistakes." Some of her larger projects included making a Tauntaun couch with exposed innards, and her newest project for her office is a Wampa chair with a mannequin recessed from the ceiling acting as a de facto Luke Skywalker. All in all, the panel was an excellent opportunity for budding or expert crafters to explore the possibilities for crafting within the Star Wars universe. 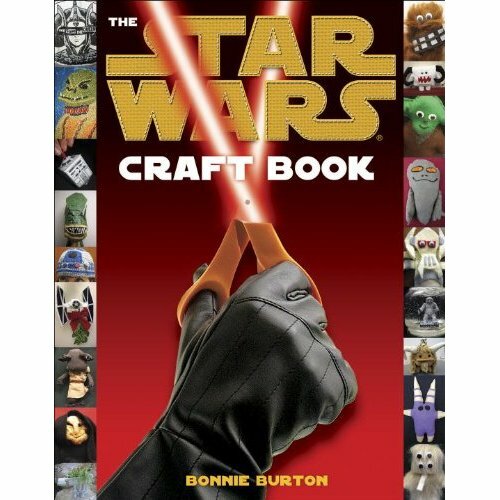 Look for Bonnie?s book, The Star Wars Craft Book, in stores and online retailers on March 29, 2011.